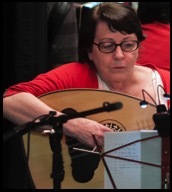 Louise Bilman, a trained musician and former professional accompanist, has pursued studies in Greek music since 1960. She taught the dance portion of UCLA's first course in Greek music, given by Dr. Sotiris Chianis in 1966, and together they set up the first formal course of dance instruction in a Southern California Greek Orthodox church, which was courageously pioneered by St. Katherine Church of Redondo Beach. Louise (Anderson) Bilman taught an academic course on Greek Dance in its Cultural Context, at UCLA from 1968 to 1975. She traveled extensively on a series of study tours to Greece, initially with Dr. Chianis and his family on an ethnomusicology course, and subsequently each year independently. Her area of interest has taken her for extended visits to Samothrace, Northwest Epirus, Western Crete, and the Thracian borders areas. Since 1976, she has focused her research in Kalymnos and the central Dodecanese Islands. Because her study is not only the forms of dance but also its social utilization as a representation of community values, she is interested in the raw material --the dances and songs of shepherds and sponge fishermen of small villages -- rather than the performance groups, as a vehicle to perpetuate traditional values. She has presented seminars on this topic at the ITHACA Cultural Study Program in Crete, under the direction of Dr. Nikos Germanacos. She has served as a judge in the Greek Orthodox Youth Folk Dance Festival since 1985. The Greek Heritage Society and the City of Los Angeles recently recognized Louise Bilman for the major contribution she has made to our knowledge of Greek dance. Arturo del Rio was born in Mexico. He was a frequent leader of Greek dances at the Intersection Folk Dance cafe in Los Angeles during the 1970s. During a trip to Greece, while sitting on the beach one day, Arturo spotted a beautiful young woman and introduced himself. The woman, Domna, laughs, “I thought he was a Turk!” But after a courtship, they married and settled in Pasadena, California. 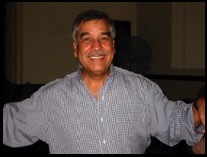 In his real life, Arturo is a retired high school principal, but on Friday nights he is often seen leading dances at Kypseli. 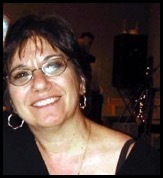 Joan Friedberg serves as DJ at Kypseli Greek Dance Center and manages its music archive. She is also a musician (laouto) and has performed with Los Angeles bands Drita, Paradosi, Sto Horio, and Triandafilia. She played laouto for the award-winning Junior Olympians at the annual Greek Orthodox FDF (Folk Dance Festivals) in 2001, 2002 and 2003. In 2015, she performed in a Rembetika Retrospect Concert sponsored by the Greek Heritage Society of Southern California. Joan Friedberg traveled for three months in the Balkans and Turkey in 1982, observing dance events in the Yugoslav Republic of Macedonia, Bulgaria and in Greece. She has made six trips to Greece, three of them focusing on the Florina region. Her research has twice been published in Greece in the Proceedings of the International Organization for Folk Arts (I.O.F.A.) UNESCO, in 1997 and 2000. (See http://writings.orchesis-portal.org/index.php/en/articlesen/articles-by-others/91-english/articlesen/173-friedberg-joan-tracing-the-past-through-the-present-in-the-florina-lake-prespa-region-14th-international-congress-on-dance-research-aridaia-greece-13-17-9-2000.) In 2015, she presented a paper at the CEAM 1st Ethnomusicology and Anthropology of Music Conference in Barcelona, Spain. In 2016, she presented a paper, It’s All Greek To Me … Or Is It? Balkan Bandit Ballads and Identity Politics On Stage, at the CORD Congress on Research in Dance Conference at Pomona College in Claremont, CA. (See https://dancestudiesassociation.org/publications/conference-proceedings/2016-conference-proceedings.) She is author of the book, Dancing on the Off Beat: Travels in Greece, published in 2005. Her philosophy as a teacher is to help dancers understand the music, the complex rhythms and the cultural context of the music and dances as well as to capture the emotion and mood of the dance, rather than simply mimic the movements. She also taught Greek dance at Balkan Fest at Pomona College, CA, in 2010, 2012, and 2013 and has taught at Cafe Aman in Los Angeles. Drina’s passion for Greek dancing began at the Intersection in the 1970s. After many years spent raising her family, she returned to the dance floor and immersed herself in the traditional dances of Greece. In 2003 Drina attended the folk dance camp hosted by Yannis Konstantinou at Lake Prespa, near Florina, Greece. She has attended several workshops with renowned teachers such as Kyriakos Moisidis, Christos Papakostas, and Joe Graziosi, where her enthusiasm and natural gift for dance has resulted in her quickly adopting a wide dance repertoire. Her interest in dance extends to other regions of the Balkans as well as recreational dance, and she has taught at Cafe Aman in Los Angeles, where she has also served as D.J. Robbi Shulman has been involved in Greek dance since the 70s. She fell in love with the heart and soul and parea of Greek dance and music at the Intersection, the folk dance café opened by Athan Karras in the 1960s. She performed with the Intersection Greek Dancers and was an original member of the Panegiri Dancers, performing for ten years at Greek festivals in Pasadena, Northridge and Redondo Beach, among others as well as at the Dorothy Chandler and the Wilshire Ebell Theaters. Robbi directed dance groups at St. Katherine’s Greek Orthodox Church in Redondo Beach for eight years and has been a judge at the FDF Greek Dance competition on and off since 1998. Robbi has travelled to Greece several times, has attended Pontian weddings and has participated in workshops with a special interest in the regions of Pontos, Thrace and Macedonia. 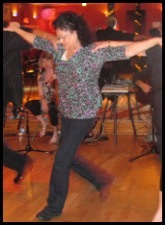 Robbi continues to dance and teach at Kypseli and at Café Asteria West Los Angeles. Anne Gani Sirota was born in Alexandria, Egypt, into a Greek family who had emigrated from Epirus. 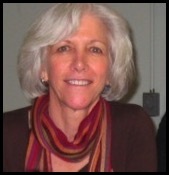 Anne started folk dancing in 1967 in Los Angeles. She started traveling to Greece in 1970, reconnecting with her Greek roots, in search of both her familial heritage and authentic village dancing. In the ensuing years, Anne performed with the Intersection Greek dancers, the Intersection Balkan and Adagio dancers, O Pontos, Panegyri, and Ellas Dance Theatre, for which she was Assistant Director. She started teaching Greek dance in 1972 and has been a dance judge since 1988 for the annual Greek dance competition sponsored by the Greek Orthodox Western diocese. She is a frequent consultant and teacher to local FDF dance groups. Most of her research in Greek dances has focused on Pontian and Macedonian villages in Northern Greece, and she has visited and seen authentic Greek dancing in Athens, Ioannina, Thrace, Thessaloniki, the Macdeonian regions of Edessa, Serres, Roumlouki and Florina, Pontian communities, and the islands of Crete, Karpathos and Chios. She presented (and published) a paper on Wedding Traditions in Florina at the International Organization of Folk Arts conference in September 2000 in Aridea, Edessa, Macedonia, and has written articles for Oli Mazi, the annual FDF newspaper, including The Transmission of Traditional Greek Village Dance in the 2001 edition. She specializes in teaching Pontian and Macedonian dances. Michael R. Smith has been a staff teacher at Kypseli Greek Dance Center for 15 years. He performed with Traditional Greek Dance in 1984 and Troupe Hellas in 1988. Before embarking on his own field studies in Greek dance, Mr. Smith participated in numerous workshops, symposia and conferences with renowned master teachers, including Athan Karras, Joe Graziosi, Nikos Mathioudakis, Dennis Boxell, Nikos Savvidis and many other guest teachers from Greece. He attended dance conferences across the United States from 1988 through 1993, including special dance workshops with members of the Dora Stratou Theatre of Athens in 1986, 1987, and 1989. In 1991, Mr. Smith spent the summer in Crete, returning in 1992 and 1993, in order to absorb the richness of Cretan culture and dance traditions. During those visits, he also participated in Mazoxi dance workshops. He returned to Crete once again in 1995. He also experienced traditional dance in Kea, in 1992; Olympos, Karpathos, on August 15, 1992; in Lesbos (Mytilini) and Chios in 1993; and in Epiros in 1997.